Backed by a team of skilled tutors, Grade Potential helps you give your child the right foundation for learning. Our tutoring for 3rd graders is personalized, convenient and designed to build both self-confidence and academic success. Rather than a one-size-fits-all approach to tutoring, Grade Potential believes in personalized, child-specific tutoring that takes into account each individual child’s specific learning style and personality. That’s why our 3rd grade tutoring program is able to effectively help your child reach his or her goals. Grade Potential offers highly qualified instructors who are passionate about helping third graders learn. Unless otherwise requested, our tutoring for 3rd graders comes from credentialed individuals with experience in the field. 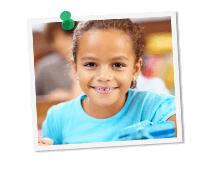 What’s more, we work strategically to place the right 3rd grade tutoring instructor with your child, one that will fit well with his or her personality and learning style.